Table decorations, available in different colours to suit your wedding theme, also ideal for baby showers and parties. 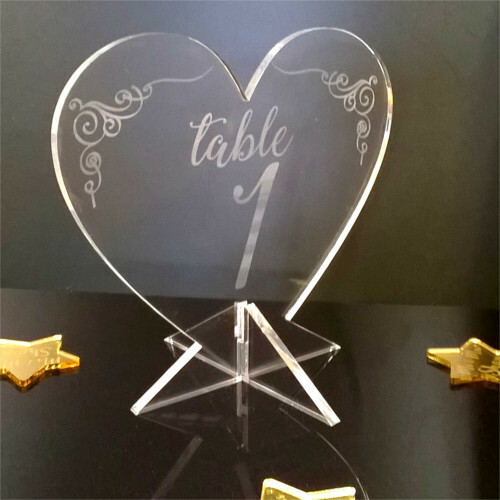 5mm thick coloured acrylic decorations, precision laser cut and etched to add style and class to your big day! In flat pack form the base simply slots on to the heart to provide a distinct way to show the table number for your guest. Available in a wide range of colours you are sure to find one to match you colour scheme. Personalised items are excluded from returns.